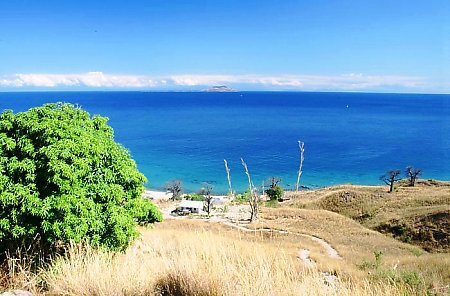 Lake Malawi, also called Lake Nyassa, lies between the countries of Malawi, Tanzania and Mozambique. 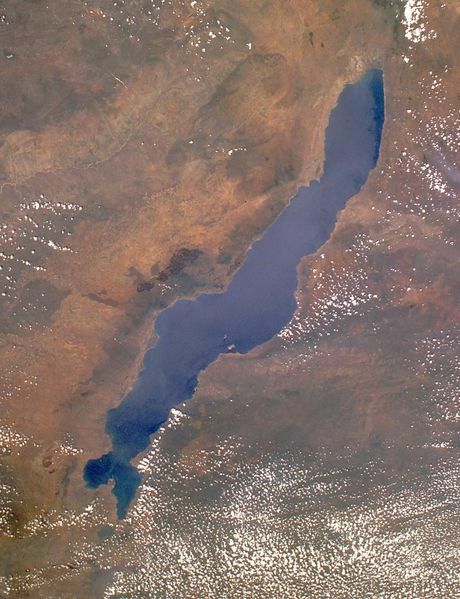 The west and south side of the lake belong to Malawi, Tanzania and Mozambique share the eastern shore. It is the ninth biggest lake in the world. It has a length of 560 km and on some places its about 80 km broad. The total water surface is 29600 square kilometer. The surface is 472 meter above sealevel. 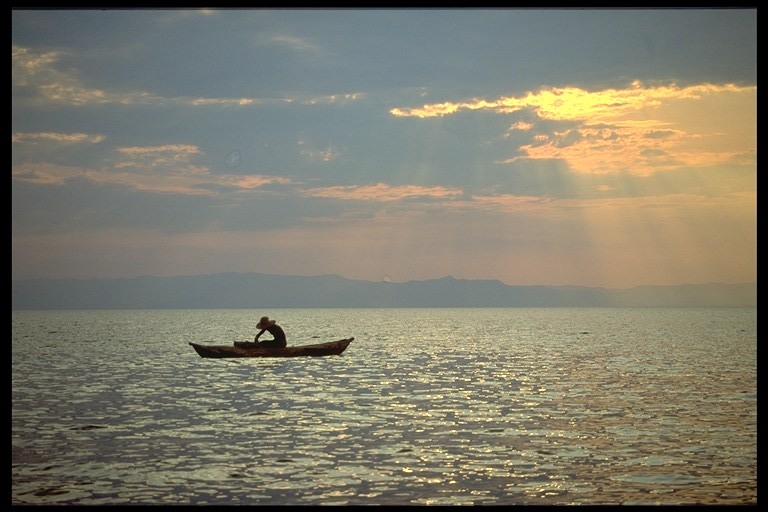 The lake has an average depth of 292 m and a maximum depth of 700 m. The total volume is circa 8400 cubic kilometers. There is only one river from which the water of the lake flows away, the "Shire River". The water level of the lake fluctuates throughout the year, but it isn't only bound to season changes, but also to climate changes. In the past, the water level has been lowered multiple times. There has been proven that about 25000 years ago, the water level was 400 meter lower than it is now. Along the shores of the lake, rocky areas are exchanged with sand or swamp-like areas near rivers. There are about 1000 cichlid species known from this lake. Many kinds have developed here in the past thousands of years and are only to be found here. Nowhere else is such a diversity in one species. In entire Northern America there isn't such a diversity in all fish species together. Most of the fish live in shallow water, a small part lives in deeper water. Many species are found along the shores or islands with rocky areas ("Mbuna"). Other species are found between rocky areas and sand and others live above the sand only. There are even cichlids living in open water ("Utaka"). Over the past decennia many species were caught by local exporters and have been sent to multiple locations all around the world. In this way cichlid lovers are able to get to know these fish better. Unfortunately, there has been a lot of fishing by the local population. This means there was an increasing pressure on the fish population and some species became rare. Nowadays, things are getting better. 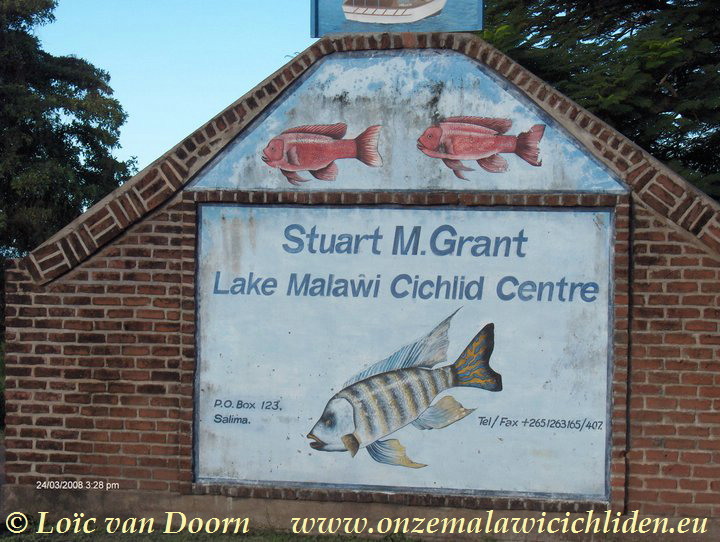 That's why the local exporters of Malawi-cichlids are breeding a lot of species to ensure that there will be a constant fluid of cichlids for trading. 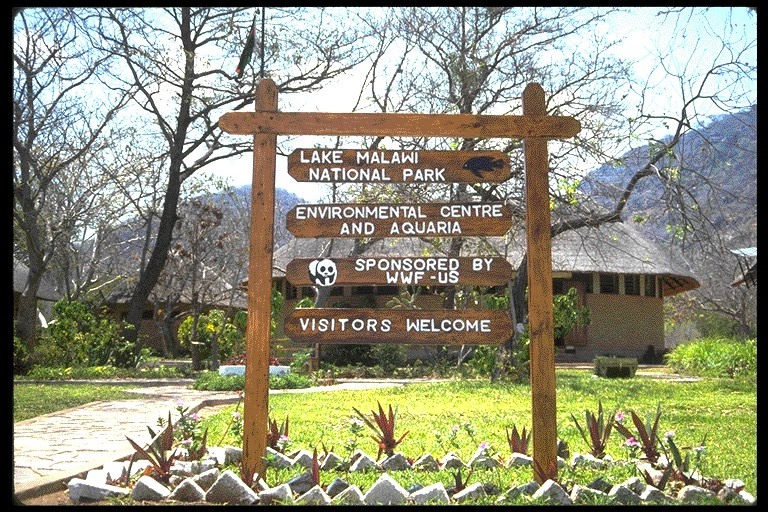 In deliberation with the government of Malawi and the World Wildlife Fund (WWF) in 1980 a large area in the Southern part of the lake was named "Lake Malawi National Park". In here, no fishing is allowed.